The property has private and shared rooms, living room, dining room, kitchen and backyard where there is a grill for cooking grilled meats. The house has two floors. The rooms of ground floor are 3, prepared to receive 6 people in each one. On the upper floor are the remaining rooms, shared and private rooms of 4 and 6 people. 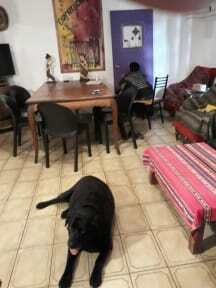 Hostel Parque Central is located a few blocks from the well known Central Park of Mendoza. The park contains a lagoon, circuits to run, games for children. Within the park premises there is a cultural space of great importance for Mendoza which is The Cultural Ship, a space where all kind of artistic shows are developed, as well as classes and art workshops. 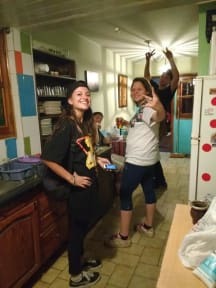 - Shared rooms: Rooms with 4 or 6 beds located in bunk beds. In these rooms the bathroom is shared and are located at the top of the building. Each room has plugs, lockers or placards and natural lighting (they have windows). - Private rooms: Private rooms can be double, with double bed or bunk bed (to choose). These double rooms have the bathroom outside the room. Payment upon arrival by cash, credit cards, debit cards with an extra fee. This property may pre-authorise your card before arrival.